Bide Akande is an Associate in the Litigation Practice Group and a member of the Insurance/Reinsurance Industry Team. Bide concentrates his practice on commercial litigation, defense of Section 1983 and other civil rights cases, and malpractice litigation. 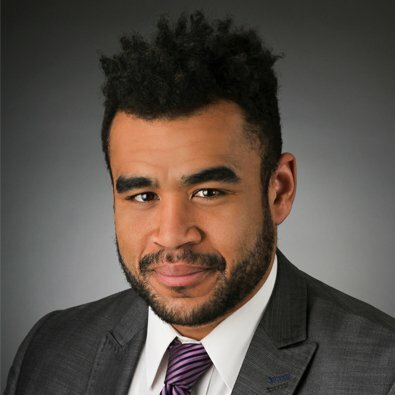 Prior to joining Freeborn, Bide was an Associate at Heyl Royster, and also interned at the Cook County Public Defender's Office in Maywood, IL. "Consciously Guard Against Unconscious Bias in the Workplace," InterBusiness Issues, (March 2017). "Admissibility of Internet Sources Under Learned Treatise Exception," The National Law Review, (March 29, 2017). "Subjective Knowledge: It Might Be What Jury Infers You Knew," The National Law Review, (January 8, 2017). "Implicit Bias and Clients: An Overview," American Bar Association Commercial & Business Litigation Newsletter, (November 29, 2016).